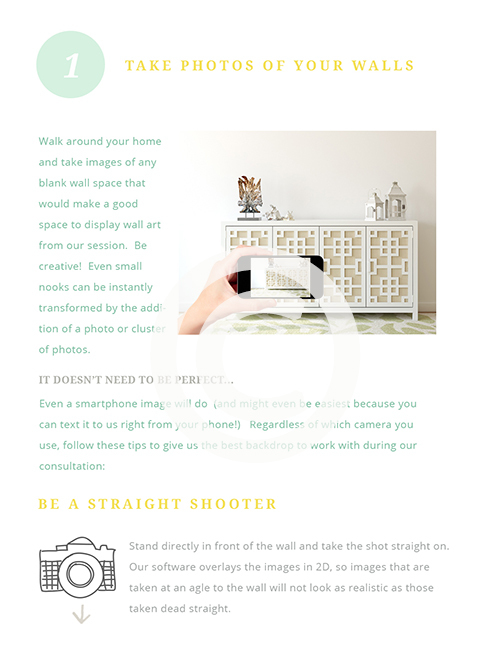 *Downloading this free guide will automatically add you to our infrequent emailing list which we only use to let you know about new product releases, sales and app updates. 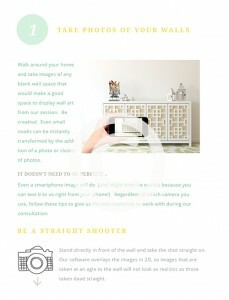 We will never ever share your information with anyone. 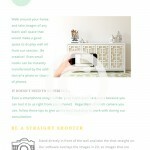 Pinky swear! 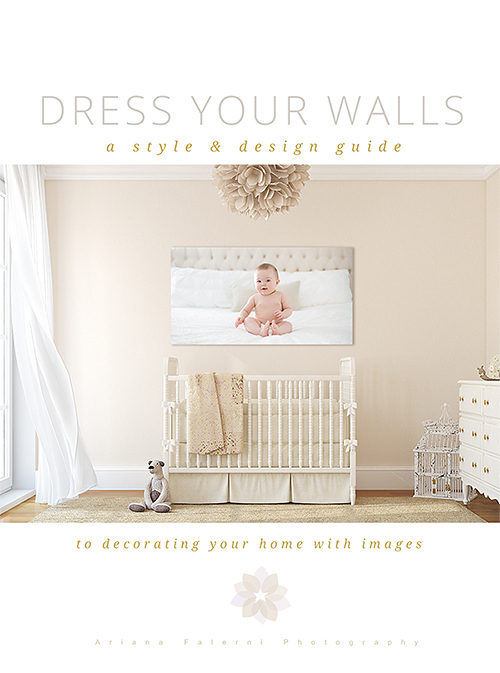 Once you’ve invested in the best way to help your clients visualize their images on their own walls, its time to market this amazing service to your clients! 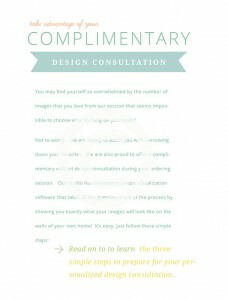 This 4×5.5 accordion fold brochure template is designed to do just that. 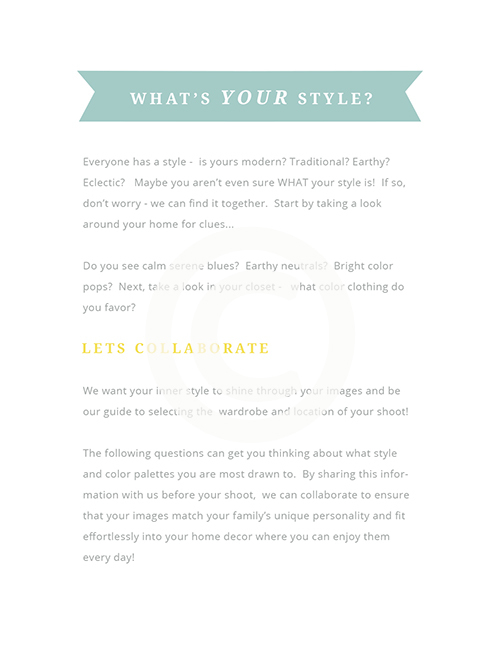 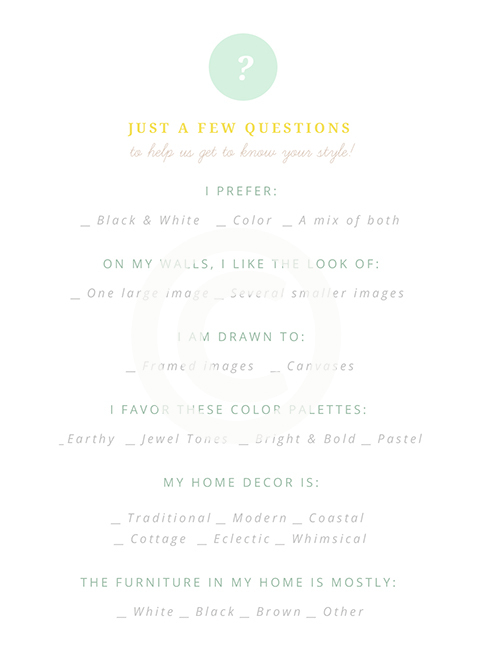 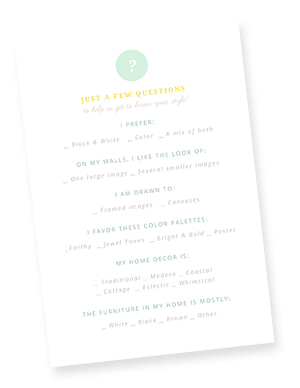 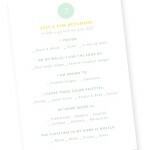 Not only does it give instructions for them to take images for you to use in Shoot & Sell during their ordering session, it also includes a mini questionnaire designed to get them thinking about their style and the potential of their home as a blank palette for your images! 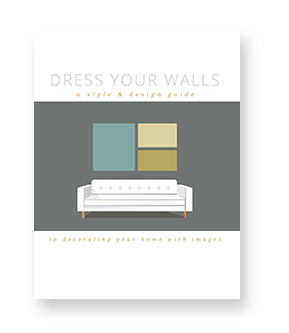 Finding more about your clients’ design preferences helps you prepare wall design ideas before their ordering session (do they like frames or canvases? 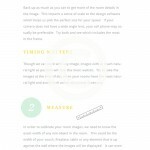 Do they like one large image or several smaller ones?) 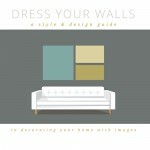 and can also help guide your clients towards wardrobe and location choices that best reflect their unique style. 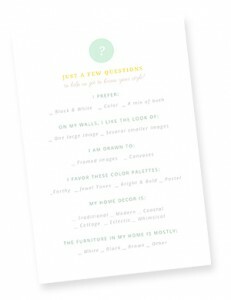 This gets them thinking about wall art early on in the process and also ensures that their portraits will fit seamlessly into their home decor. 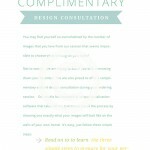 A fully editable PSD File with text, images and illustrations. 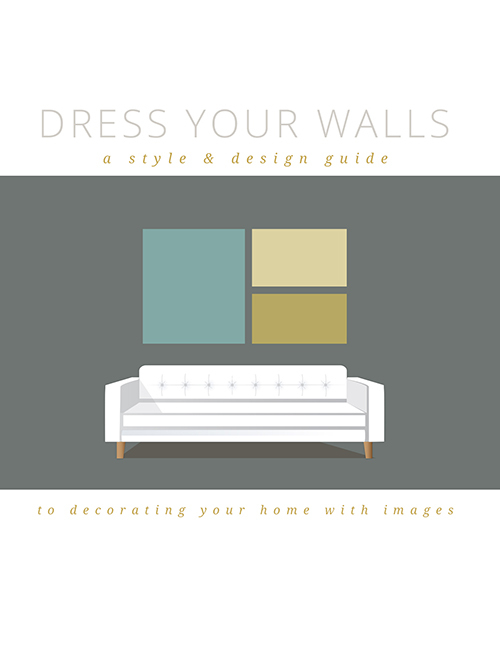 There are places to insert your logo, a cover design and a showcase of three examples of wall designs that you’ve created with the app. 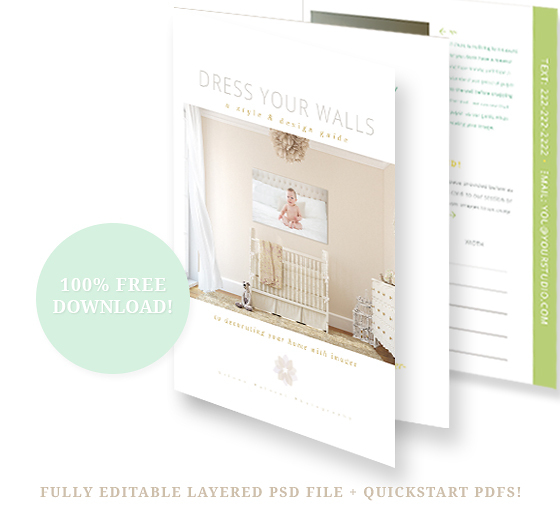 The PSD file has been sliced for easy export into jpgs if you wish to make an electronic booklet or PDF instead. 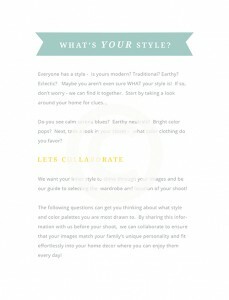 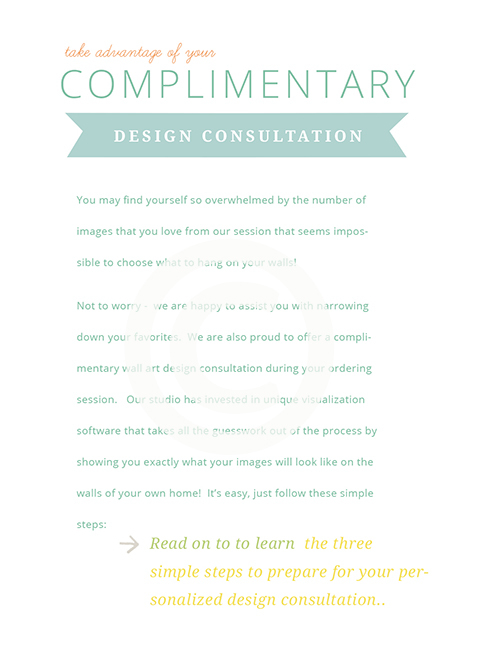 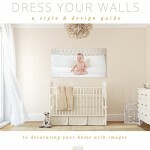 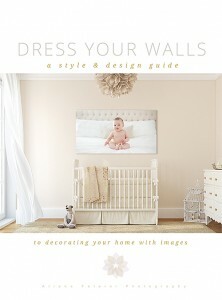 A quickstart Style & Design Guide PDF with image preparation instructions for your clients. 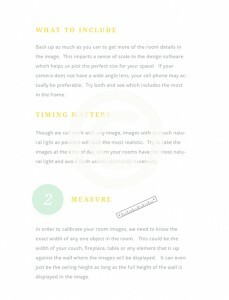 It requires no customization as it is designed for you to start using immediately if you don’t have time to customize the PSD files. 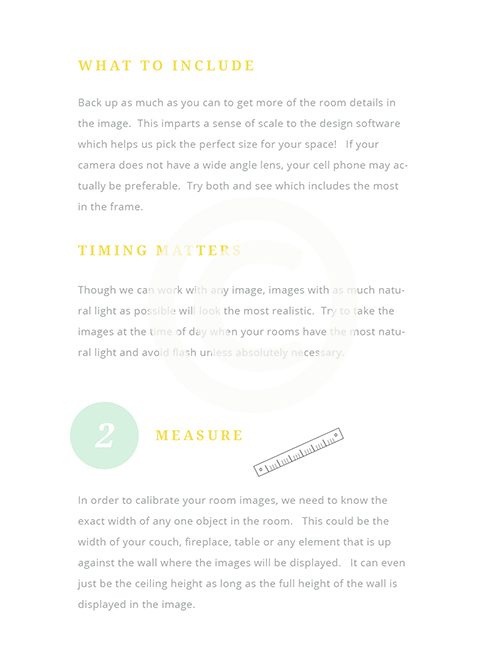 A quickstart PDF that only contains instructions for your clients on how to shoot and provide you with images of their home to use in the app. 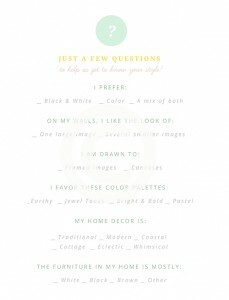 No customization or branding required. Create a PDF version to email your clients if you don’t mail out printed material. 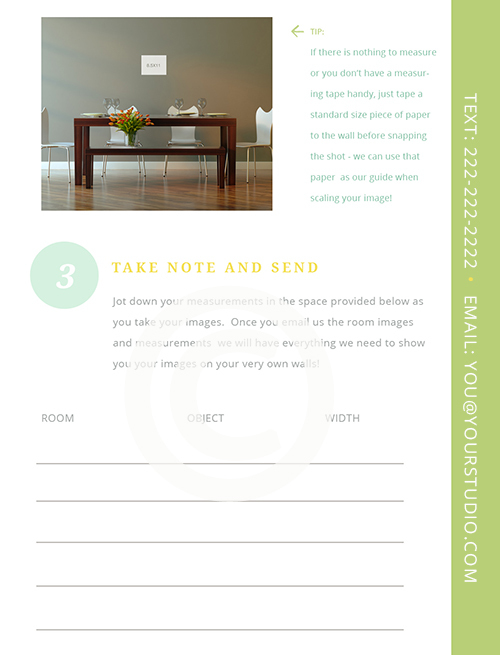 Post it to a location on your website or client site for easy reference to your clients.